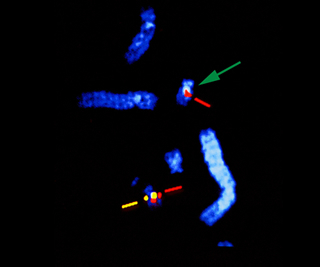 Who we are: We are a group of researchers and physicians who specialize in conditions related to the deletion and/or duplication in the chromosomal region 22q11.2 and their underlying biology. Vision: To be the international leader in promoting research related to the chromosome 22q11.2 region. The 22q11.2 Society is a Charitable Incorporated Organisation Registered with the Charity Commission for England and Wales. If you wish to be involved in the administration of the 22q11.2 Society or would like details of the constitution/governing document please contact us. On June 5th, 2018, David Duguid MP raised a bill (video link) in the Parliament of the United Kingdom (UK) to require the Health Secretary to conduct a review into 22q11.2 Deletion Syndrome. It will require the National Health Service (NHS) to publish a strategy to deal with the condition. Specifically, Mr Duguid called for neonatal blood spot screening to identify patients with a chromosome 22q11.2 deletion in the newborn period. On March 20th, 2019 this initiative took a great step forward in the British Parliament. Please see the exchange in this video (starting from 47:36)]. David Duguid MP, along with the all-party parliamentary group (APPG) that he chairs, called for 22q11.2 deletion syndrome to be added to the newborn blood spot test. The Prime Minister, Teresa May, offered to ask the Department of Health and Social Care to respond. For more information and updates, please follow David Duguid on Twitter or visit Max Appeal's website on the APPG. The 22q11.2 Society thanks the charity Max Appeal, Mr. Duguid, the APPG, and Mrs. May, for helping to add this important condition to the newborn screen test in the UK. The 2019 'Faces of 22q' calendar is now available for pre-order from the International 22q11.2 Foundation. This calendar makes a lovely holiday gift to those who help individuals with 22q along this journey. By purchasing a calendar today, you will help raise much needed awareness for the 22q11.2 deletion and duplication syndromes. All proceeds benefit The International 22q11.2 Foundation, Inc. Photos from the conference are now available. Please enjoy. If you would like to add your photos to the collection on the website of the 22q Society, please contact the website editor (website_editor(at)22qsociety.org). She will provide you with the link to which photos should be uploaded. Thank you. On June 5th, 2018, David Duguid MP raised a bill (video link) in the Parliament of the United Kingdom (UK) to require the Health Secretary to conduct a review into 22q11.2DS. It will require the National Health Service (NHS) to publish a strategy to deal with the condition. Specifically, Mr Duguid called for neonatal blood spot screening for 22q11.2DS. Max Appeal is encouraging all its members to contact their Members of Parliament (MPs) and ask them to support David Duguid's Bill in the House of Commons. MPs are invited to email David Duguid MP if they would like to support the bill or to join the All-Party Parliamentary Group (APPG). For more information, please follow David Duguid on Twitter or visit The Max Appeal website on the APPG.